A head injury is defined as any trauma to the brain, scalp or skull. The damaging effects of a closed head injury – which account for 75 percent of the two million brain injuries every year in the U.S.– carry life-altering consequences. A concussion is the most common example of a closed head injury. Caused by a jarring jolt or blow to the head, this trauma can lead to brain swelling, increased intracranial pressure and injury to nerve cells and delicate tissue, sometimes resulting in permanent neurological damage. Not every head injury concussion causes lasting impairment, but more traumatic injuries can leave victims with physical, behavioral or personality changes that negatively impact day-to-day life. Due to the wide-ranging implications of a moderate or traumatic head injury, it is imperative to recognize symptoms and seek treatment early. Here at the California personal injury firm of Ellis Law, our award-winning legal team has a long track record of helping those who were hurt through the wrongdoing or negligence of others. 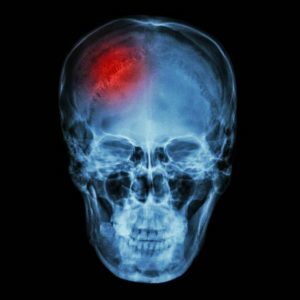 For more than 25 years, we have advocated for victims of catastrophic brain and head injuries, earning a national reputation in car accident and personal injury cases. If you or someone you love needs expert counsel and compassionate guidance, we encourage you to speak with a head injury lawyer at any one of our 20 California office locations. Head injuries, from mild concussions to skull fractures, can have a major impact on one’s ability to work, earn a living, support a family, or lead a normal, productive life. Head injuries that go undiagnosed or untreated may worsen over time, resulting in a greater chance of long-term disability. Cognitive deficits, changes in sensory perception, and language and communication problems are just some of the complications that may develop. Determining the value of a head injury settlement or verdict will depend largely on the circumstances of the case and whether the plaintiff will incur lasting disabilities or impairments. Some people will need intensive rehabilitation, while others may recover fully within a matter of months. Traumatic head injury victims who suffer profound brain damage will likely need 24-hour care or nursing services for the remainder of their lives, thus substantially increasing the damages awarded. Other factors considered include how the injury will affect the victim’s ability to engage in social relationships and activities of daily living. These case results indicate the types of compensation available for lost wages and loss of future earnings, medical costs, emotional distress, loss of consortium, physical pain and suffering, and loss of enjoyment of life. Ellis Law offers effective legal representation for head injury victims in Los Angeles County and throughout southern California. We have the financial resources, investigative prowess and trial expertise to obtain full compensation for our clients. By working with life care planners, medical specialists and rehabilitation experts, we can accurately assess the true value of your claim. Find out how our attorneys can fight for the compensation you deserve by arranging a free case review.